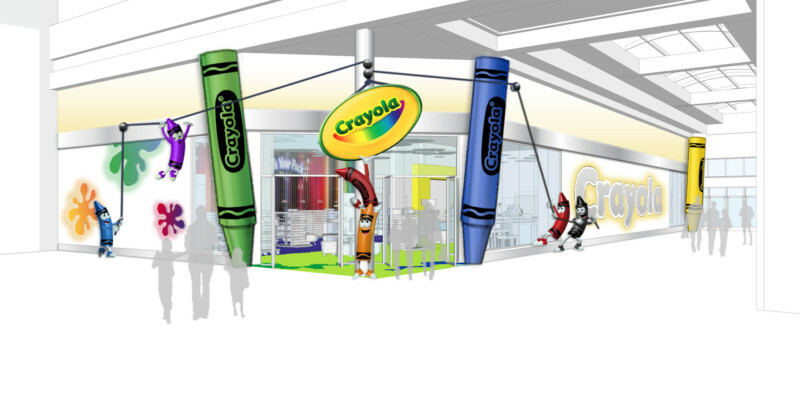 The new Crayola Experience Orlando is set to open in summer 2015 at the Florida Mall. [Read press release here.] George Wade of Bay Laurel Advisors is in the role of executive producer/project manager of entertainment, interfacing with Crayola’s internal team as he was for Crayola’s 2013 re-invention of its original visitor center in Easton, Pennsylvania, headquarters town of Crayola LLC. Please describe your scope of work for Crayola Experience Orlando and your relationship with Crayola Corporation. I will be project managing the entertainment aspects from design through production and installation, which is basically same role I performed for the Easton project. My client is Crayola Corp. and I report to Victoria Lozano, the VP of Corporate Strategy. 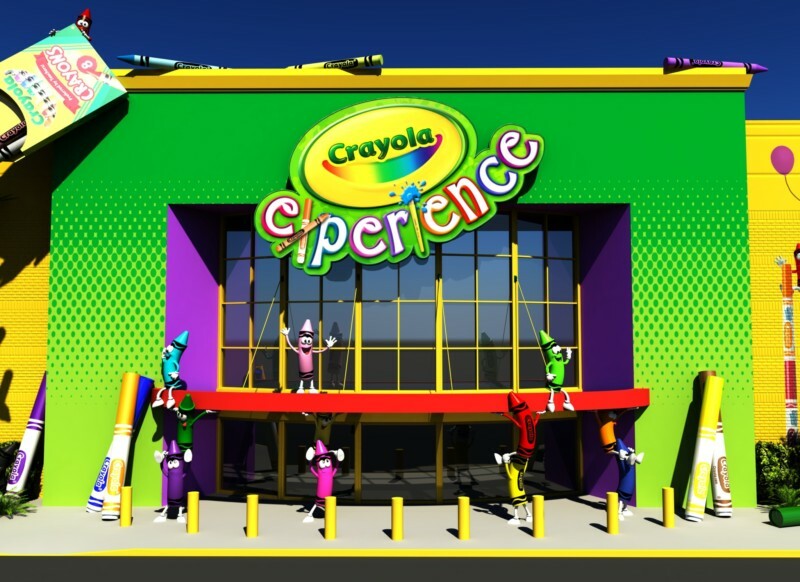 The re-envisioning effort that produced The Crayola Experience began a little over three years ago with the Easton project: Bay Laurel Advisors and Management Resources assisted Crayola in developing initial analysis for the renovation program, setting goals for project and then launching and taking it all the way through to completion. How has The Crayola Experience in Easton performed in its first year? Crayola is very happy with its success on many levels. First and foremost, they are happy with the joy they have brought to numerous children. The response from the general public has been overwhelmingly positive, and that’s been very rewarding for everyone involved. Crayola Experience Easton is also a commercial success – as evidenced by fact that Crayola is going forward with a second one now, in Orlando. Describe what you and your company bring to the job. Over my 30-plus year career, I have worked on a wide range of projects from large scale theme parks to independent attractions and everything else in between. I’ve been active on the pre-development side as well as the design and execution side. My background is originally in theatre – technical design, stage management and production – and I learned very early on in my career that the themed entertainment business is, in essence, another form of theatre, utilizing many of the same critical skillsets. When did you form your own company? 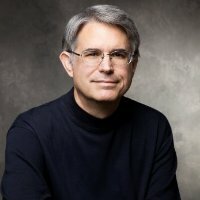 I launched Bay Laurel Advisors, my consulting business, in 2009, after my second tour of duty with MGM – five years as senior vice president of location based entertainment. Since then, I have been assisting clients in front end analysis of projects from the creative and business standpoint, and for some, also assisting in implementation and execution strategy. At this time, what is the status of Crayola Experience Orlando in terms of the production process? We are in schematic design now. Production will commence later this year, and installation in spring 2015. It will be a fast track process. The Weber Group design firm and project architect Callison Global are the backbone of the creative team. The retail design firm is Reztark Management, as for the Easton facility. Management Resources is on board again as well, as operations adviser. What can you tell us about the guest experience planned for this new location? Will it be similar to Easton? What are the special challenges in serving the Orlando market? While I can’t go into specifics at this time, the guest experience will be hands-on interactive as at Easton, and range from high-tech to low-tech. Many key elements of Easton will also be part of Orlando. However, every product must evolve over time, and part of our effort right now is to determine the best way to do that as we move to Orlando. With everything in life, there are positives and challenges. Orlando draws a huge family market, but those families have a lot of options when it comes to how they spend their time and money. You have to have a compelling product and be competitive. A lot of forethought is being put into defining the positives that market offers to us, and how we are going to take advantage of those positives. Whatever market you go into, you have got to be the best you can be. We have a fantastic opportunity at the Florida Mall. It’s a good location for us, with a good tenant mix including an American Girl store – and it’s owned and operated by Simon Property group, which is one of the best. As executive producer it’s my job to bring the team together to help mold the vision and keep us on course for the vision. One of the things I do to stay in tune with the vision and the client culture is to review the “Crayola Inspire” video, a sort of corporate manifesto that the company created several years ago in the process of an introspective analysis about who Crayola was in the marketplace. I have seen it about 200 times in the past four years and it always gives me inspiration. It’s a great statement about the DNA of Crayola. They’re a cool company and I have tremendous respect for what they represent. Are there any creative, construction or operations roles yet to be filled that themed entertainment contractors would like to know about? If so, where should they direct their inquiries? There are some additional roles that will be bid out in the future. We have not finalized anything yet in this regard, but we will provide an email address within the next two weeks for such inquiries. What else has your company been working on recently? Bay Laurel Advisors is currently working with a major IP owner on a licensing and branding strategy for attractions.